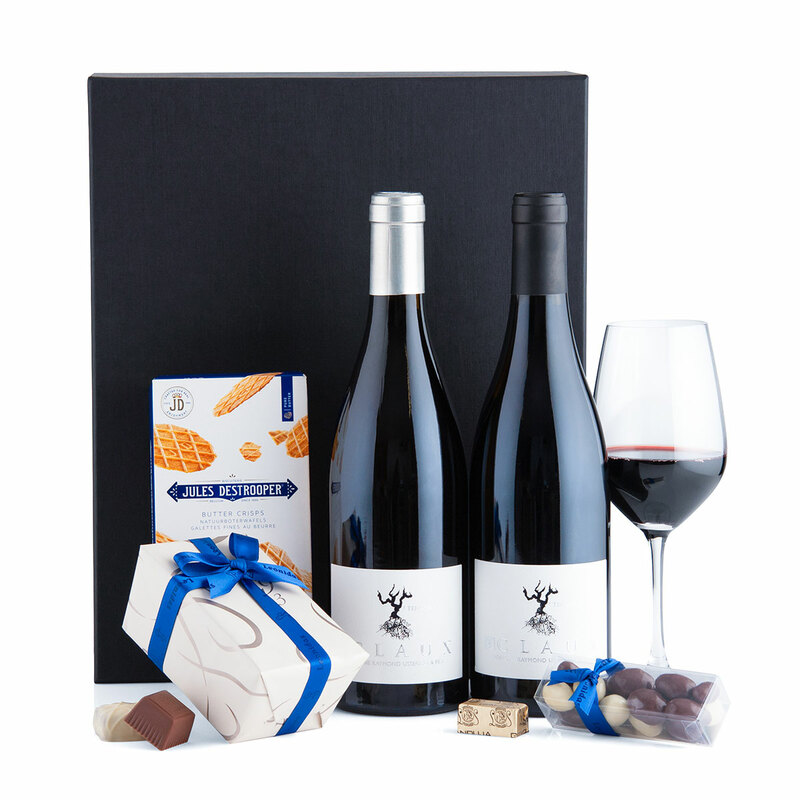 The classic Hospitality Tray wine gift sets are the perfect gift for any business occasion. The Deluxe edition features a bottle of luscious Usseglio Côtes du Rhone Claux red wine, and a bottle of Usseglio Côtes du Rhone Claux white wine. The outstanding wines are paired with exquisite Belgian chocolates. Enjoy a tempting Leonidas chocolate assortment in a beautifully wrapped ballotin and classic Jules Destrooper butter waffles. A small box with Leonidas chocolate covered nuts completes this elegant gift set. Displayed in a luxury black VIP gift box, this wine and chocolate gift set is an ideal corporate gift for key clients, colleagues, and other important business associates. It also makes an elegant gift for friends and family for any special occasion.